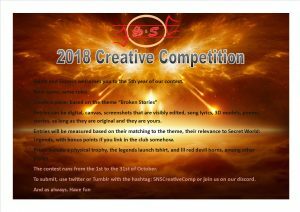 This competition hosted by Saint and Sinners is celebrating its 5th contest! Prizes include a physical trophy, the Legends Lanch shirt, little red devil horns, and more! See photo below for details and how to enter!